Bipolar spectrum disorders (BSDs) are associated with great personal and socioeconomic burden, with patients often facing a delay in detection, misdiagnosis when detected, and a trial-and-error approach to finding the most appropriate treatment. Therefore, improvement in the assessment and management of patients with BSDs is critical. Should valid physiological measures for BSDs be identified and implemented, significant clinical improvements are likely to be realized. 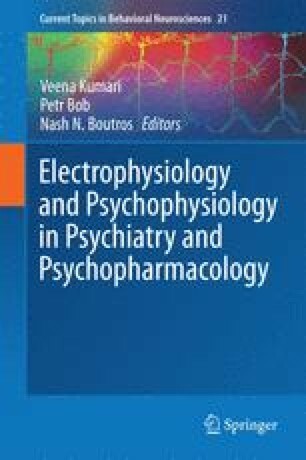 This chapter reviews the physiological correlates of BSDs and treatment, and in doing so, examines the neuroimaging, electroencephalogram, and event-related potential, and peripheral physiological correlates that both characterize and differentiate BSDs and their response to treatment. Key correlates of BSDs involve underlying disturbances in prefrontal and limbic network neural activity, early neural processing, and within the autonomic nervous system. These changes appear to be mood-related and can be normalized with treatment. We adopt an “embodied” perspective and propose a novel, working framework that takes into account embodied psychophysiological mechanisms in which the physiological correlates of BSD are integrated. This approach may in time provide the objective physiological measures needed to improve assessment and decision making when treating patients with BSDs. Future research with integrative, multimodal measures is likely to yield potential applications for physiological measures of BSD that correlate closely with diagnosis and treatment. The authors acknowledge the assistance of James A. J. Heathers with regard to insight into some of the heart rate variability research presented.